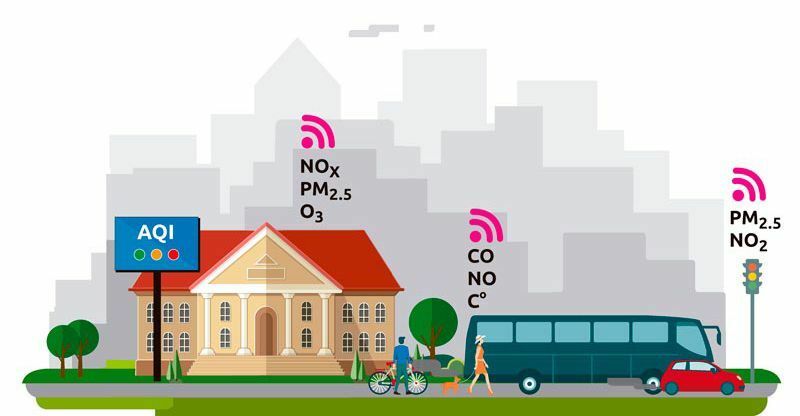 Cities require reliable data on ambient pollution parameters and air quality. First of all, because this information is necessary to control the impact of urban actions, and also because it helps evaluate improvement works and design appropriate policies that help protect the health of citizens and also guarantee sustainable mobility. Kunak AIR A10 and P10 Air Quality Monitoring Systems enable the easy monitoring of ambient pollution parameters such as levels of CO2, CO, NO, NO2, NOx, SO2, H2S, O3, PM1, PM2,5 and PM10. They capture quality data (R2>0.9), provide valuable information including the AQI (Air Quality Index) and therefore enable the evaluation of urban measures, making possible to design efficient environmental health policies and give citizens access to quality information from your Website, Smart City platform or Kunak Cloud.